Join Dr. Leah Hassall, ND, in learning more about the most common cause of IBS: Small Intestinal Bacterial Overgrowth (SIBO). It is estimated that up to 84% of cases of IBS are due to an overgrowth of bacteria in the small intestine, which is typically almost sterile. For reasons that will be explored in this weekend workshop, some people will develop too much bacteria in the small intestine and experience gastrointestinal symptoms such as bloating and changes in the frequency and consistency of bowel movements. Topics include when to suspect SIBO, how it is diagnosed, how it is treated and how to support people on a SIBO diet. Participants will leave with lecture handouts, supportive resources and experience in dietary consultation and meal planning for people with SIBO . 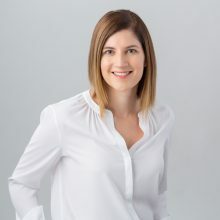 Dr. Leah Hassall is a naturopathic physician practicing at Sage Clinic in downtown Victoria, BC. She focuses her practice on inflammatory and autoimmune disease, skin conditions (acne, rosacea, eczema and psoriasis) and gastrointestinal disorders, specifically the connection between small intestinal bacterial overgrowth (SIBO) and IBS. She currently consults with physicians across Canada on the use of lactulose breath testing for diagnosing small intestinal bacterial overgrowth (SIBO). Her personal mission as a doctor is to support patients on their health journey through offering evidence-based integrative healthcare, collaborating with other healthcare providers and advocating for her patients to ensure that they receive the best care possible. Dr. Hassall studied at the University of Alberta, UBC and finally at the Boucher Institute of Naturopathic Medicine in New Westminster. As a clinical intern, Dr. Hassall worked in a number of external clinics in Vancouver and Victoria with special populations that included people who are HIV+, low income families and children, people with chronic disease and LGBT folks. After four years of study and clinical internship, Dr. Hassall was awarded the Academic Excellence Award and became a licenced naturopathic physician. Dr. Hassall is board certified in chiropractics, IV therapy and acupuncture and is licenced to prescribe pharmaceuticals. Her practice uses a combination of herbal medicine, clinical nutrition, acupuncture, lifestyle counselling, physical medicine and pharmaceutical therapy to create individualized treatment plans.